Hello friends! Yes I am alive and posting! I know it's been forever and a half since a new post by moi and that's because March has been insane! Between school, helping around the house and seeing my friends I haven't had much time to do anything else. BUT I have a great post today so it's worth the wait. If you wanna keep up with me and all my fun things/behind the scenes I get up to you can follow me on Instagram (@samantha_goble) and Snapchat (@samanthagoble)! 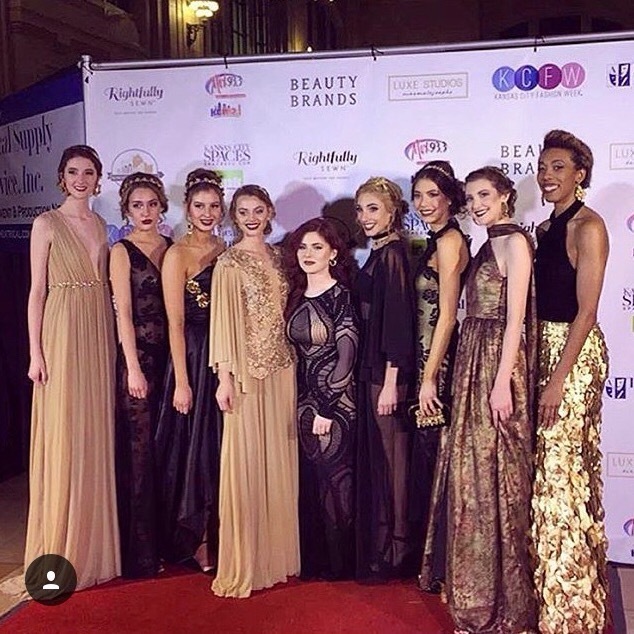 This past weekend the 17-19th I attended my third season of Kansas City Fashion Week! It's hard to believe that my first time was a year ago, like where has the time gone?! I was soo excited because I was able to attend and get to see and catch up with all my blogger friends. 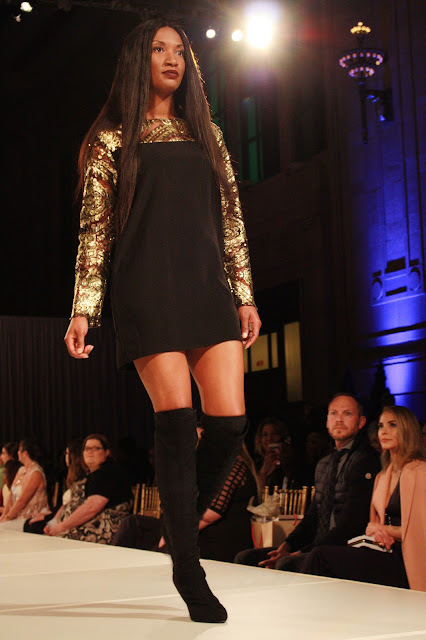 Thursday kicked off the three runway shows and my oh my it did not disappoint! I sat with 3 of blogger babes: Ritz, Sierra and Mollie. It was such a good time and it was so nice to catch up with them! I also saw some more of KC blogger gals which is always a good time. My two favorites are Ola Style and Gypsy Blaque. While they were very different I loved them! 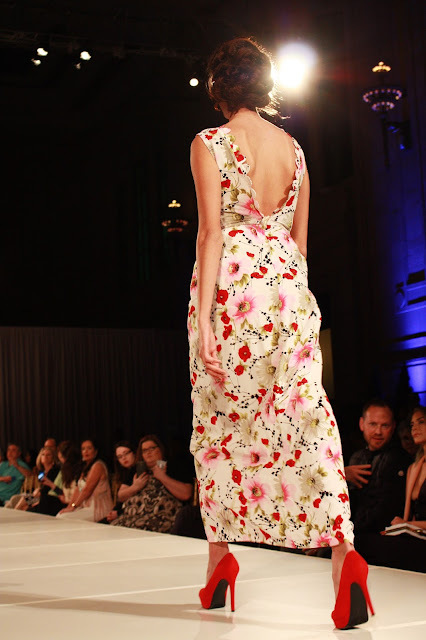 Ola Style had some gorgeous floral gowns with an open or v-back. Even though this was the fall/winter collection I loved the use of the more spring florals. She did have some with more season appropriate but this floral gown was one of my faves! Gypsy Blaque was the total opposite of Ola Style, dark, edgy and total badass. Her colors were mostly black, gold, olive and velvet. A more neutral color palette but lots of texture. I might need to invest in a pair of the olive leather leggings and the shirtdress because they are beyond chic. 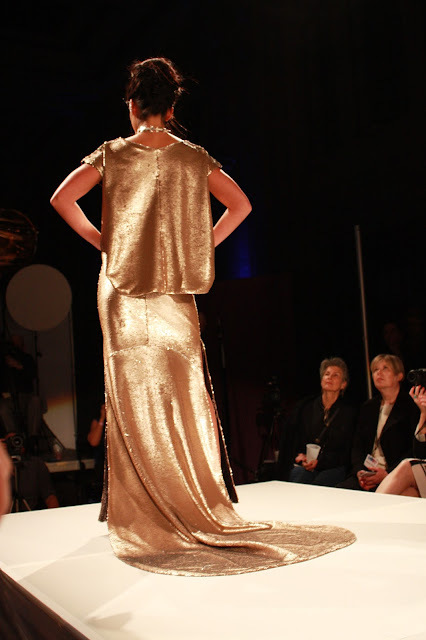 And these gold and black gowns are the perfect cocktail or special occasion dresses. She knocked it out of the park with this collection! 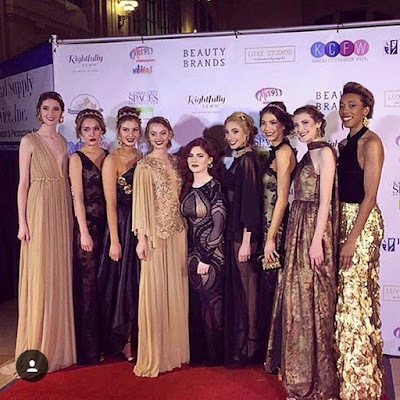 Unfortunately I had to miss Friday's shows due to some personal things popping up :( I was super bummed but kept up through the KCFW Snapchat and Instagram and seeing all the collections through my blogger friends' social media. Two that looked amazing and I knew I would have loved were Madison Durant, of LaRae Fashions and Kiana Godsey. Madison designed a stunning collection of neutrals focusing on navy, black, white with details of fur. Oh and did I mention she's 15 years old? This girl has got serious game! I loved the very "snow princess/frozen" look and she clearly knows a thing or two about fashion and design. 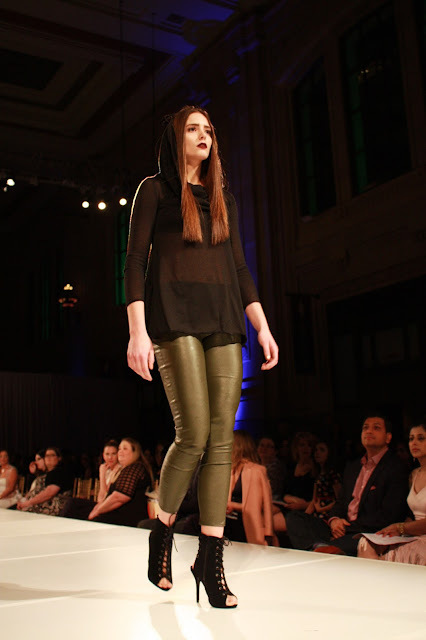 She's gonna be definitely an up and comer in the fashion world so you can say you saw her here on my blog! Lol. 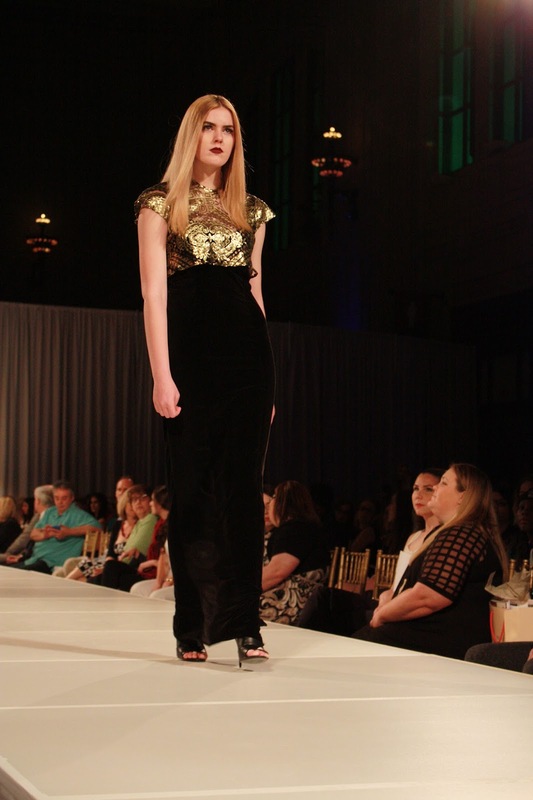 Kiana Godsey was my second favorite of the evening with another neutral collection focusing on gold, black and texture. I am living for the gold gown on the far right. Her entire collection is like the edgy version of my aesthetic and it's gorgeous. I am all about it! 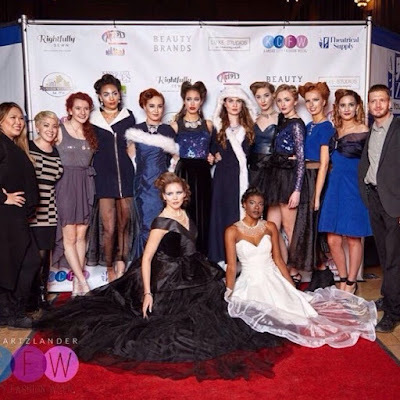 Saturday was the finale day and the local KC designer showcase. It's the fancier of the three days and I knew we were going to be in for a treat! I sat with Ritz, Mollie and Sierra again and had such a great time! They're such fun and gorgeous gals and I'm so glad I know them! Saturday, while had amazing designers, two stuck out to me the most. 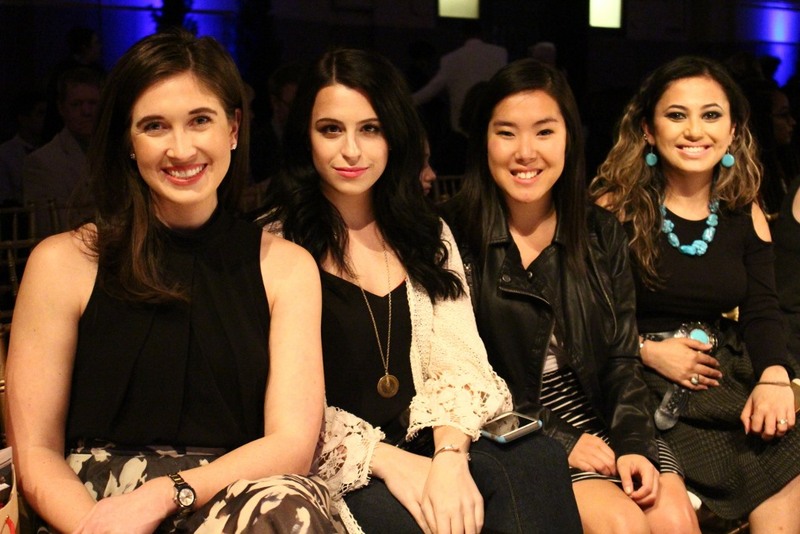 I first saw Andrea last spring when I first attended KCFW. She had a beautiful collection of hand painted gowns that were light, refreshing and ethereal (you can check them out here). This year she did something totally different and did a very rich an royal look. 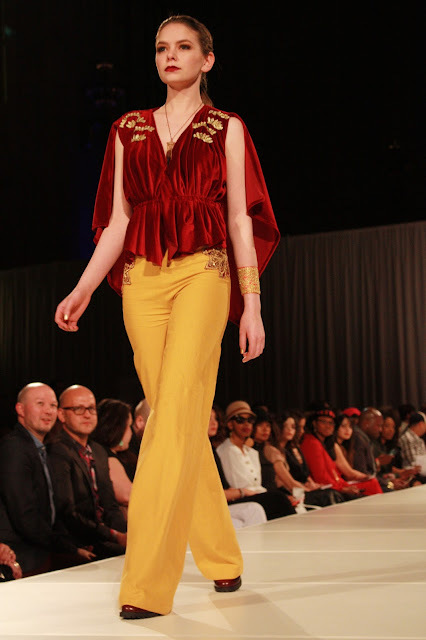 She had lots of crimson, mustard and velvet and I love the combination of the three. It's like royal attire 2016 edition. Last of the nigh and of KCFW this season was Lucia Sarto and HOLY CRAP GUYS... she SLAYYED! I died at every. single. piece. She KILLED it this collection and it was by far my absolute favorite of all the shows. 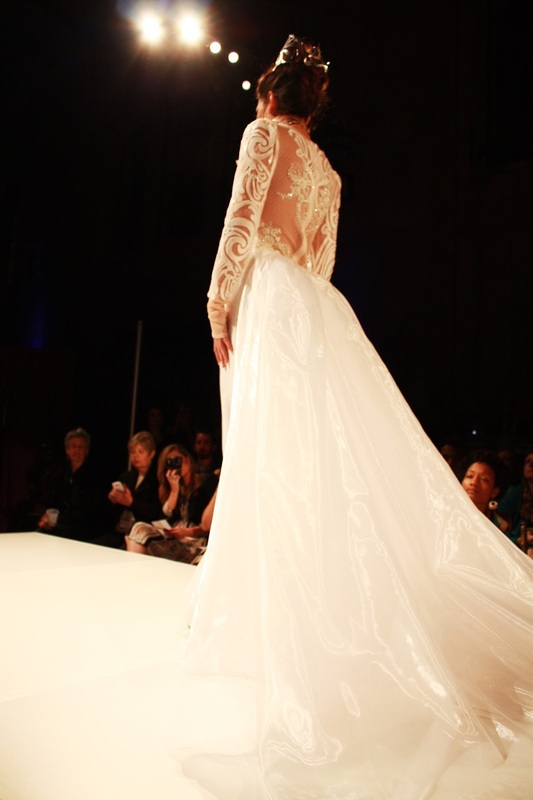 Her gowns were a piece of art, each so detailed and just visually stunning. The pictures don't even do them justice. They sparkled like diamonds down the runway. Ahhh it was just a spectacularly brilliant collection. 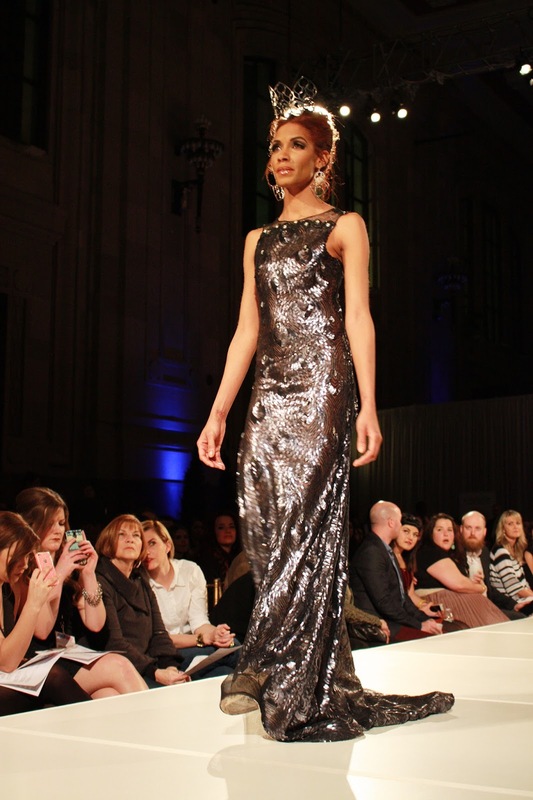 The gold and gunmetal sequin dresses are giving me serious life. If I was going to prom, a gala/ball or special occasion I would 100000% get one of these gowns to wear. There aren't even enough words to describe just how amazing they are!!! Ritz, myself, Mollie and Sierra waiting for the show to start! 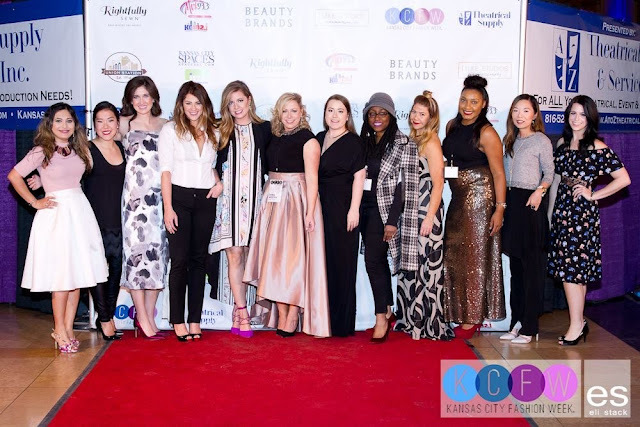 Just a few of some of the amazing KC blogger babes posing on the red carpet! So glad I'm a part of such an amazing community of women! So there you have it, a peek inside KCFW! It was another amazing year filled with great friends and stunning collections. 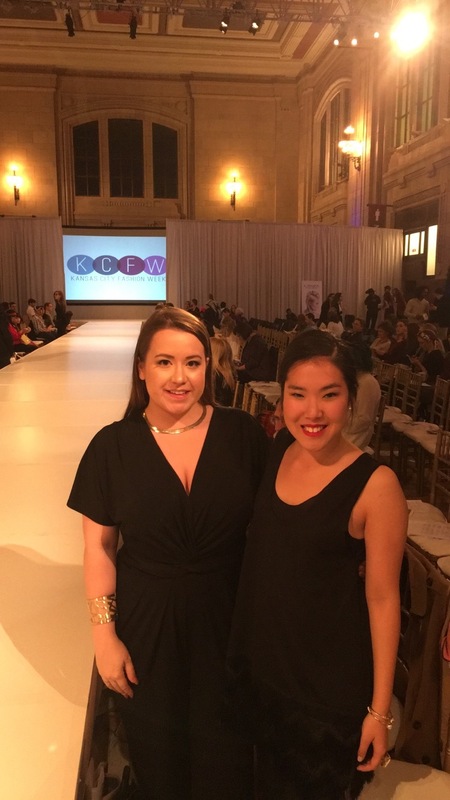 And stay tuned for what I wore to KCFW coming soon! 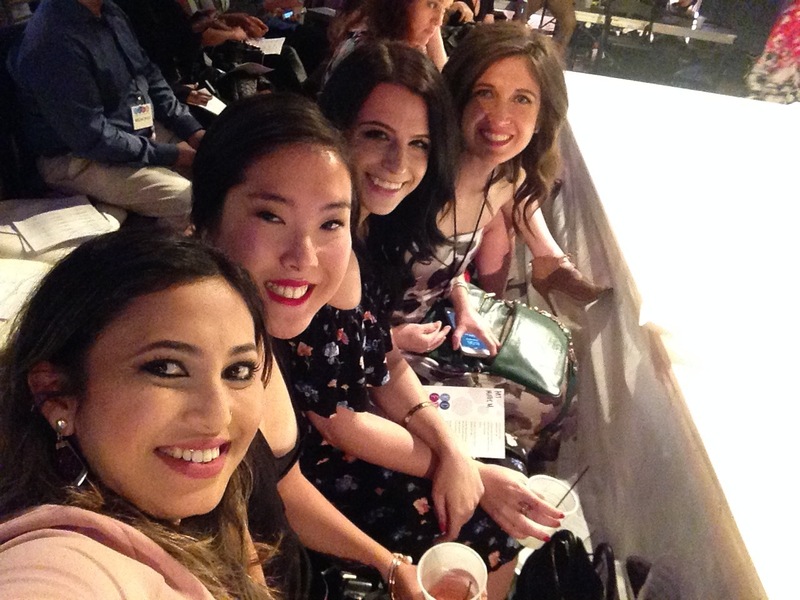 Have you ever gone to a fashion show/week? Who was your favorite from above? Share in the comments below! I've decided to begin a series that will go on for the next month or so featuring a makeup look centered around a different color each post. Like many others, color scared me when I first started wearing makeup throughout high school. I'm almost positive I wore the same black winged eyeliner every day for four years. One year for prom I think I wore navy winged eyeliner instead of black and that was like whoa, one step too far out of my comfort zone. It wasn't until about 6 months ago that I really started experimenting with color and realized that I had missed out on four years of optimum makeup opportunities! Incorporating color into your makeup, whether it's a lipstick or an eyeshadow, is a great way to get creative and artistic and to switch up your makeup routine when it's stuck in a rut. I'm excited to start this series in hopes that I can continue to venture outside my comfort zone but also inspire some along the way! I hope you enjoy the first installment! Catch up on my other beauty posts here! If you have any requests or things you'd like to see in next time leave them in the comments below! Mark your calendar for my next post on April 1st!